When does the USS Alaska cruise arrive? exp free? No one really knows yet when it will come out, but most think it will be free exp. It's a mystery to this point, WG has been mum about everything aside from it being tested and tweaks being made through the testing process. I think it will be steel. I also think it's going to be trash. Hit the down vote if you agree with me. A release date has not been announced. Method of distribution / cost has not been announced. Anything else is just speculation. Why? The Arizona wasn't a fxp ship and it's actually historically significant. Anything but Steel is fine with me. Why? For the same reason that the people on this forum went nuts when it was first mentioned that the Alabama might be for supertesters only. Making the Alaska a steel ship would prevent a very great number of players who will never see that much steel from obtaining this historical American vessel, and would become the focus of a great amount of outrage. It's as simple as that. I have no problem with it being available for FXP or Coal, same as the other tier 9 premiums are at this time. I'd imagine that there are a great many NA server players who are stockpiling FXP and/or coal in anticipation of the Alaska being a coal and/or FXP ship. Alabama actually was historically significant and did something. People are already limited in being able to get the USS Flint, arguably an equally historic ship that the Alaska. And the USS Black is probably more historical than either of them. Alaska got 3 battle stars and Black got 8 and Flint got 4. The Alaska is not historically significant. It was an oversized cruiser and scrapped because the navy realized it was junk. Sorry, but I largely don't care that much about the historicity of DDs, in light of the fact that the USN built many dozens of Fletchers. As for the Flint, it's hard to get worked up over that one because the Atlanta's already available as a premium ship. As for the Alaska, she wasn't mothballed and scrapped for being junk. That happened because the USN determined that the Alaskas had almost as great a personnel requirement as the Iowas, as well as IIRC, maintenance costs, and therefore decided that the Iowas were the better way to spend those dollars, etc. Frankly, the Alaskas got built to oppose a threat that never materialized, i.e. 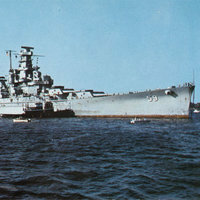 Japanese super cruisers, such as the B-65. I don't think that the Alaskas were "junk". They just didn't fill a role that needed filling in the post WW2 navy. The Navy needed more cruisers, not a smaller number of "large cruisers", not unlike why the RN preferred CLs to CAs before WW2. I don't have any doubt that had another global naval war broken out in the 50's, that the Alaskas would have been reactivated. But in a peace time navy, they just weren't needed. I don't think that they were "bad" ships. More accurately, they were unnecessary ships. At this time I think it might even be worth considering placing Alaska in Tier 8 instead. Even with the recent buff, she still gets deleted too easily by the powerful BB guns at Tier 9 and 10. More accurately, they were unnecessary ships. So they were junk design that didn't have a place in the navy because of that. I'm not saying they weren't nice ships, the Edsel was built nicely. .. But couldn't find a place and is widely panned as junk as a result. The main attraction of the Alaskas were that they were novel. They don't have comparable contemporaries that actually saw service: nobody else actually built and launched a Large Cruiser. Now when you consider they were outmatched in literally every way by the Iowas, but cost 3/4ths as much as an Iowa, you can think as to why they in retrospect, weren't as great an idea as just launching more Fast Battleships. What were they designed to counter and fight??? The Gneisenau and Scharnhorst. I would say those are very comparable contemporaries and they also have more history behind them than the Alaska. No, Missouri's throne is empty and needs filling; Only Alaska can fill it. Neither was Alabama. US ships that we're historically significant are either missing entirely (Washington, Nevada) or are being implemented in ways that don't represent them as they we're when they were historically significant (West Virginia)..
And let's be fair here. After the war the Navy mothballed everything that wasn't an Iowa, Essex, Cleveland, Baltimore or a later destroyer. Being mothballed after the war does not in any way mean the ship was 'junk'... At least Alaska existed. Which is more than can be said about many, many ships in the upper tiers.. The day bb drivers can't lolpen delete usn cruisers is the day wgen said drivers world wide rise up and storm the servers themselves. False. They were designed to fight Japanese cruisers, the B65 and the P-Project. They were not designed to fight the Scharnhorst/Gneisenau. They are nowhere near comparable. One is a battleship with small guns, the other is a cruiser with big guns - for a cruiser. Scharnhorst is still armored like a battleship. 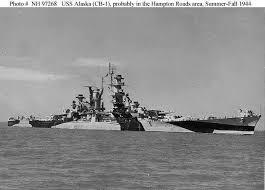 Alaska is armored like a cruiser. The two were not intended to oppose each other. Sending Alaska against Scharnhorst would've been dumb. She was a supercruiser designed to fight the proposed German and Japanese supercruisers that never left the drawing board. And let's be fair here. After the war the Navy mothballed everything that wasn't an Iowa, or Essex or a FRAM destroyer. Being mothballed after the war does not in any way mean the ship was 'junk'... At least Alaska existed. Which is more than can be said about many, many ships in the upper tiers..
you should read the book "revolt of the admirals" by Barlow. The airforce and army almost turned the entire usn into a blue water taxi service with the admirals as the cocktail waitresses. Thank the North Koreans for not letting that day come to pass. You don't get that most naval history fans are most interested in BBs and BCs (and for this purpose, the Alaska falls under "BC"), and CVs. To me, capital ships are simply more interesting than mere cruisers or destroyers. It will always be this way. If you haven't figured out this long known and understood fact, it's on you. That still doesn't make it historic. Being built doesn't mean something is historically significant.